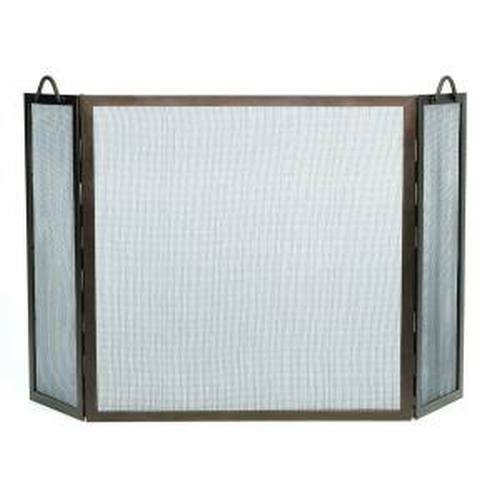 Part of the Flowing Leaf Ensemble. 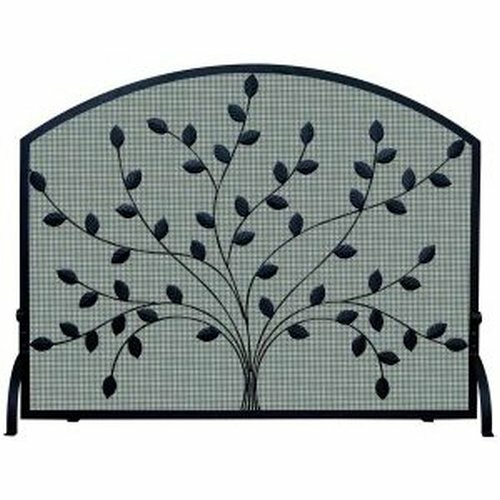 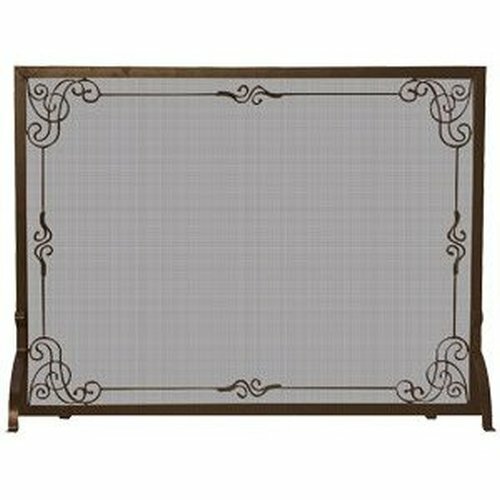 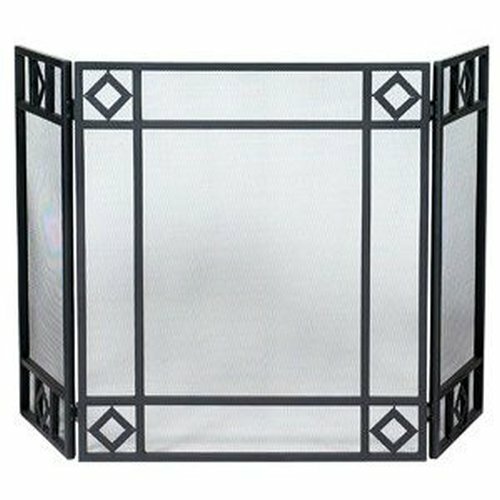 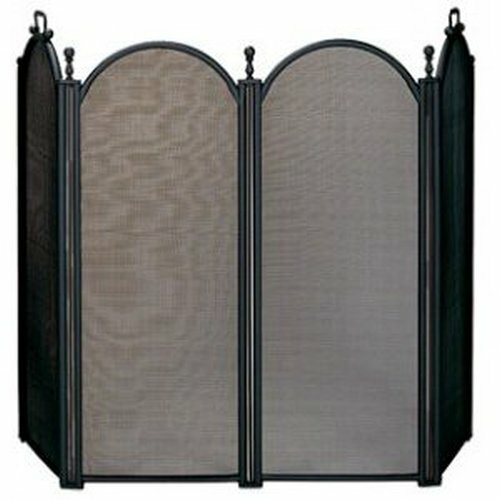 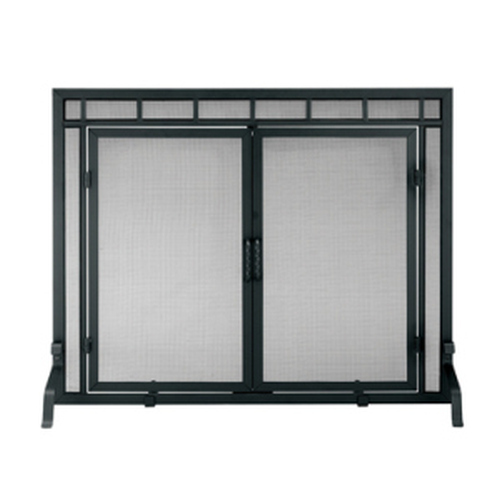 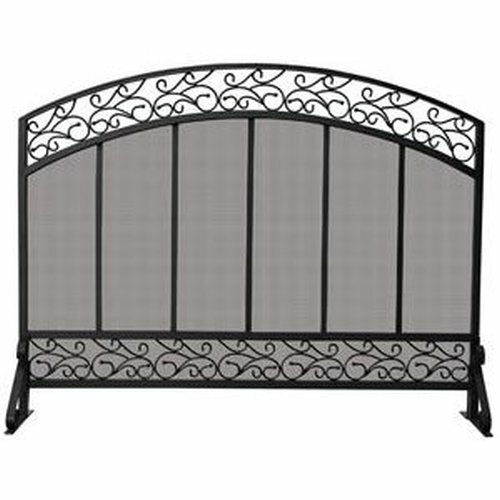 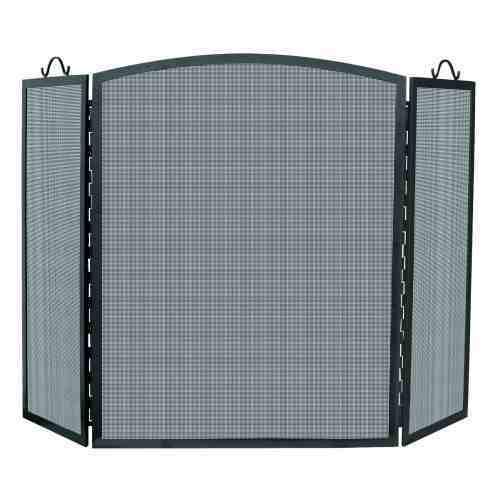 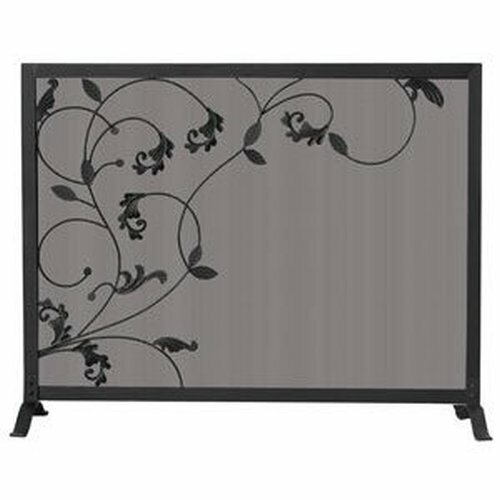 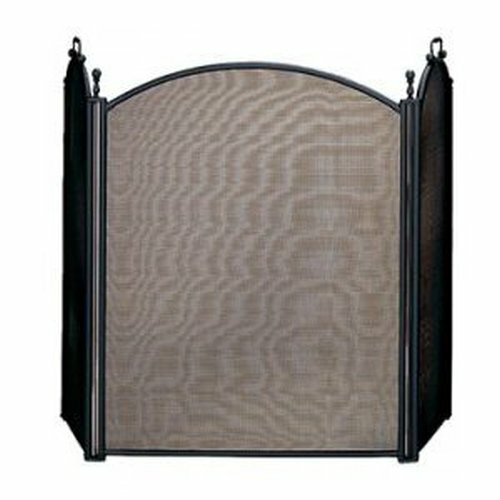 Black Iron Screen with intricate flowing leaf design. 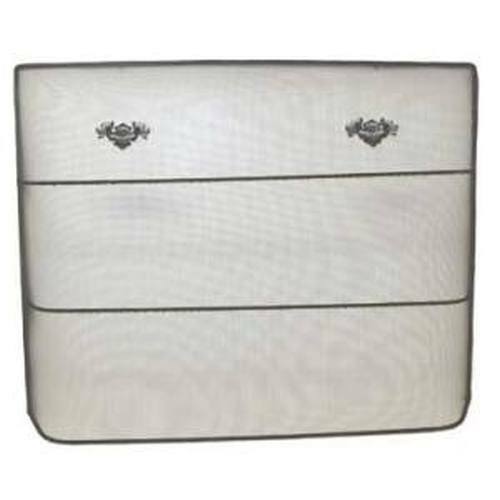 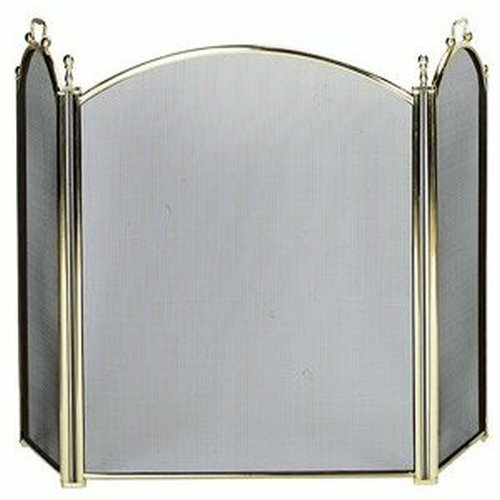 Measures 31'' high by 39'' wide. 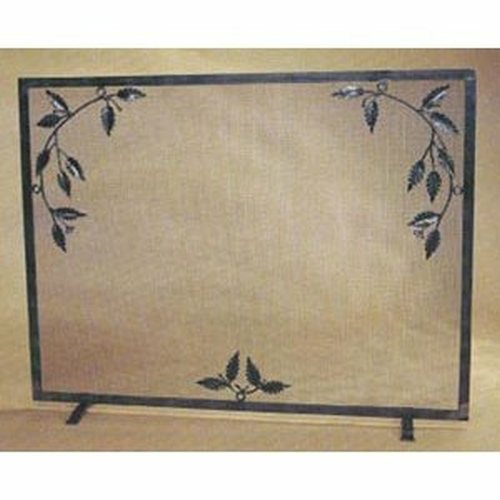 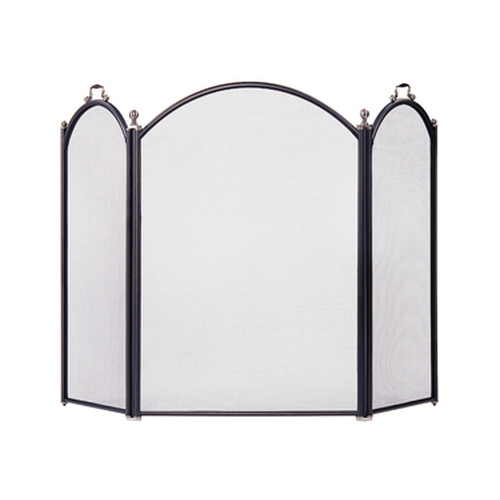 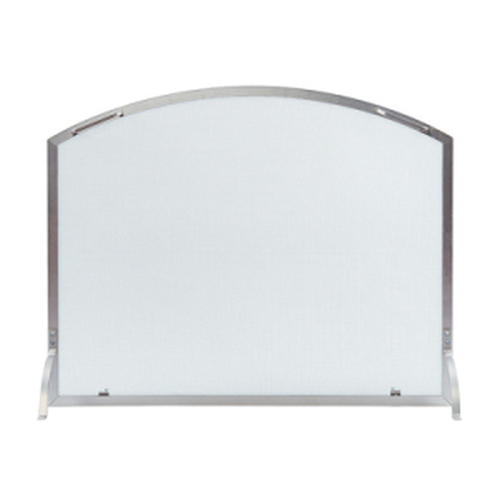 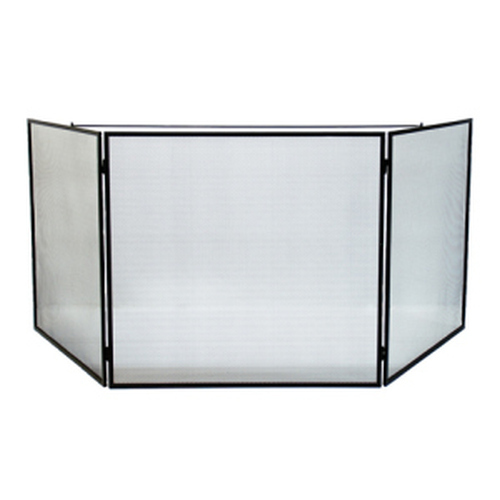 This high quality black enamel firescreen has beautifully crafted brass handles.